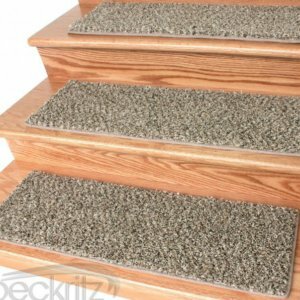 Bling Fluffy White Shaggy Stair Treads | 9″ x 27″ (Set of 13) 1.5″ Thick Super Shaggy Bling Fluffy White Stair Treads and Tape can extend the life of your high traffic hardwood stairs. 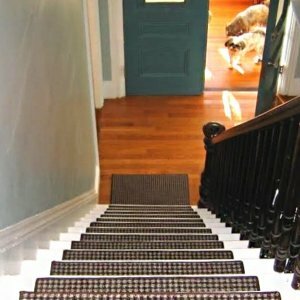 Bling Fluffy White Shaggy Stair Treads can Reduce slips/increase traction (your treads must be attached securely to your stairs). 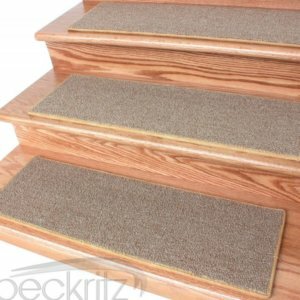 Bling Fluffy White Shaggy Stair Treads are great for pets and pet owners. 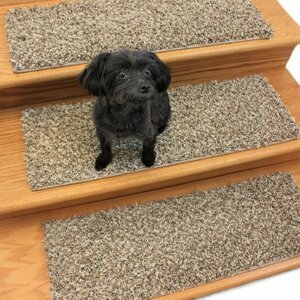 Bling Fluffy White Shaggy Stair Treads helps your dog easily navigate your slippery staircase. 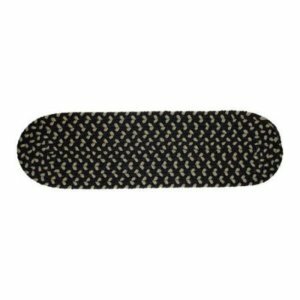 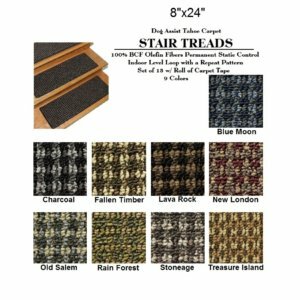 Each Set of Bling Fluffy White Shaggy Stair Treads includes 13 carpet stair treads PLUS one roll of double-sided carpet tape for easy, do-it-yourself installation. 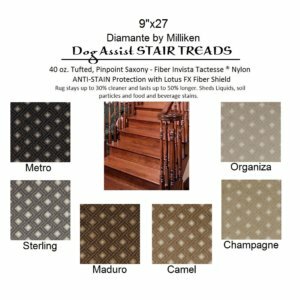 Each Stair Tread is bound around the edges. You may remove your treads for cleaning and re-attach them when you are done. 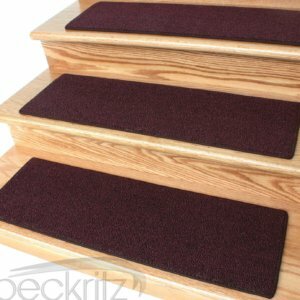 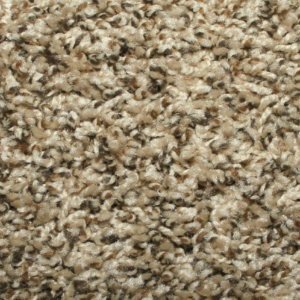 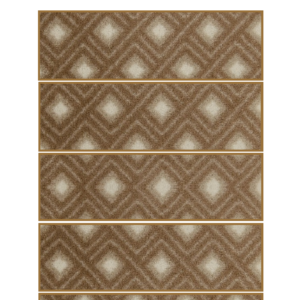 Add a fresh new look to your stairs today with new carpet stair treads.